Good point: Eddie is clean, of course. I’ve seen so many supposedly hip and alt (male) comics go to the dark side to win an audience over. P.S. One of the earliest lessons you learn is to not sit up front at a comedy show. I guess John Leguizamo doesn't count as a stand-up, though he did do stand-up early on, but the one-man shows I've seen have certainly been funny. We all have to be waiting for Rich to tell a particular story here. 1975 - Harrah's Casino in Lake Tahoe. Was called (at random) on stage to do a stand-up with Don Rickles. We wound up doing ten minutes together (which is a long time). Got a standing ovation when I returned to my seat. It was a great experience and the highlight of my comedic career. Wish I had a tape of it. Ginny was levitated by Penn & Teller. I was at a party with George Carlin in 1970. I played basketball with Bobby Collins for years and met a young Bill Maher thru him in the early '80s. That's all I got. eta: oh yeah -- I've also heard Rich trying to do stand-up for well over 10 minutes. Levitated by Penn & Teller is great. My father was once summoned on-stage to be a human ventriloquist dummy by Keith Harris (seen here with an actual dummy). 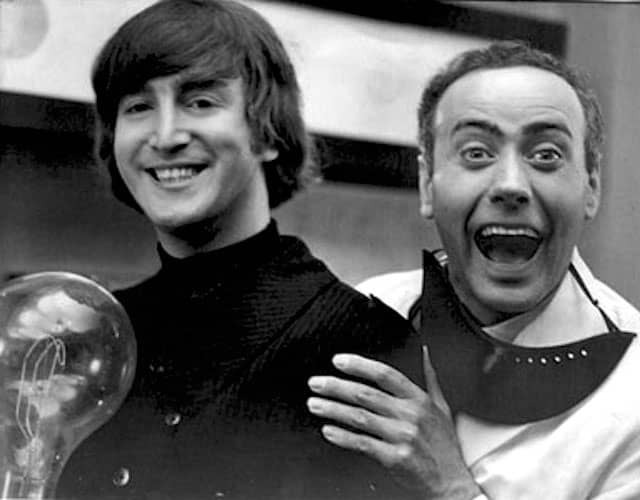 I was put through a comedy army drill routine at a West End theater by the humorous actor Victor Spinetti. I am sure you'll all be excited that he was in one or more Beatles movie in his comparative youth. Yes that's it!!! Peggy and I went for Labor Day weekend. It was the first time we vacationed together. Now we need to find the tape. I looked for the tape - that's gonna be a tough one. 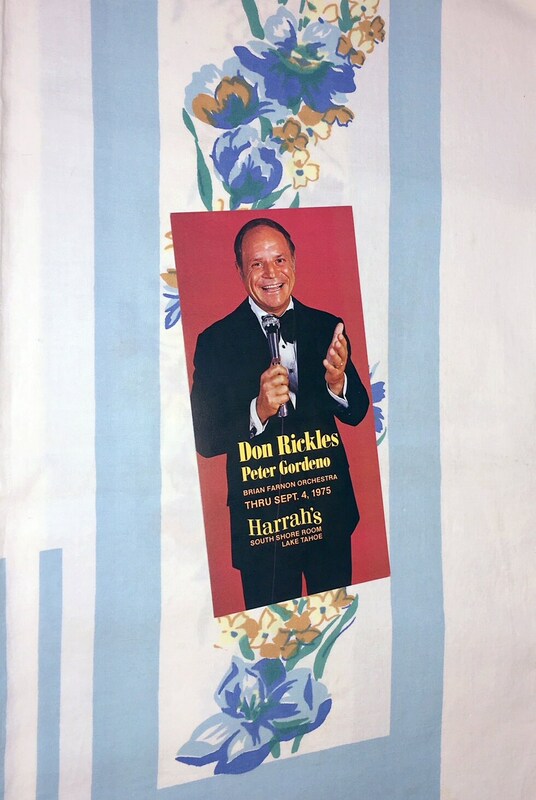 Lots of Sinatra from that era, not so much Rickles! Robin Williams. A radio station announced that Robin Williams would be doing a surprise set at a local club, and somehow a friend of mine got tickets. His show was about 2 hours. it was one, long, seamless bit. From his first word to his last, there were no breaks, no hesitations, no abrupt changes of subject. One joke transitioned into the next so flawlessly you didn't realize that he'd moved on to another topic. I never saw anything like it. Sounds like the same kind of long-form set Eddie Izzard does as far as structure goes. No gags, just stories seamlessly running into each other. No gags, just stories seamlessly running into each other. This is the essence of great stand-up comedy, in my opinion. The other school was best represented in the UK by Ken Dodd -- not a favorite of mine, but admired for spraying quickfire gags in his live set, hour after hour. Also on YouTube of course. I could go see Rich Little tonight. I wonder if he does Trump as well as he did Nixon. He may have done Grover Cleveland when that was topical.